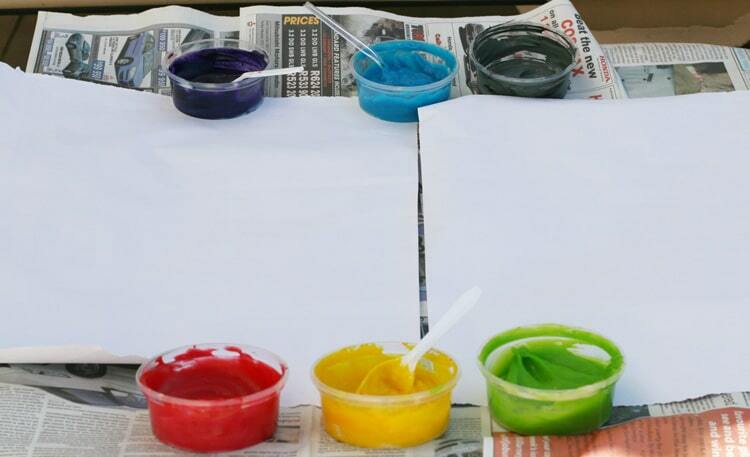 Are you wondering what the benefits of finger painting for toddlers and preschool aged kids are? 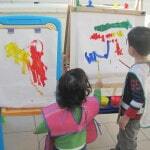 Or how about how finger painting helps with the child’s development? 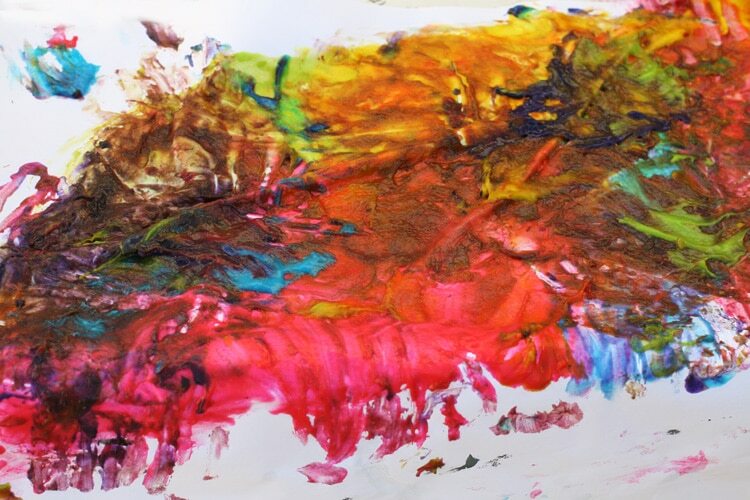 There are so many wonderful benefits of finger painting for babies, toddlers and frankly any child of any age! 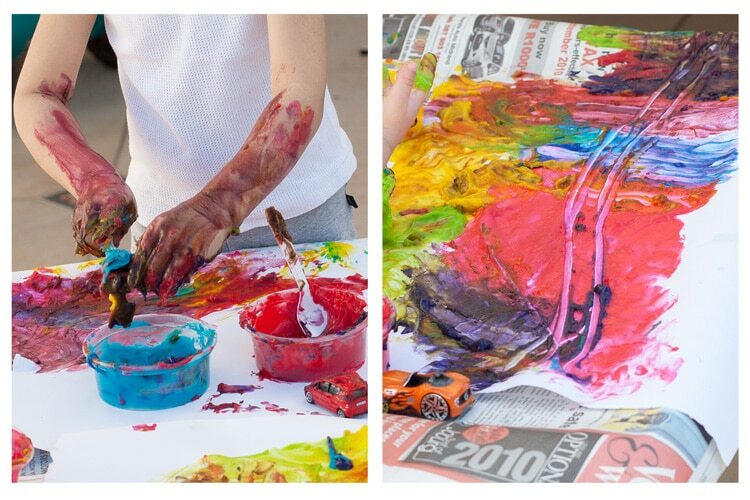 Sure, its a messy art activity but did you know that there are so many sensory experiences going on during this time? 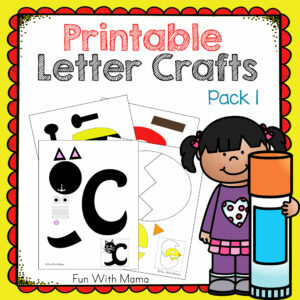 The post also includes how to make homemade finger paint, a recipe and some fun crafts and activity ideas. 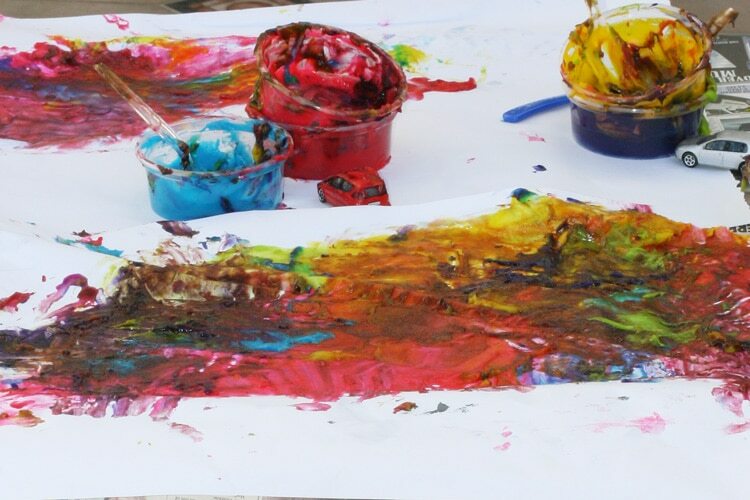 Read on to learn more about the importance of finger painting. It was a nice warm sunny day in the middle of winter. My kids looked out of the window, they ventured on to the balcony, and then it was decided. 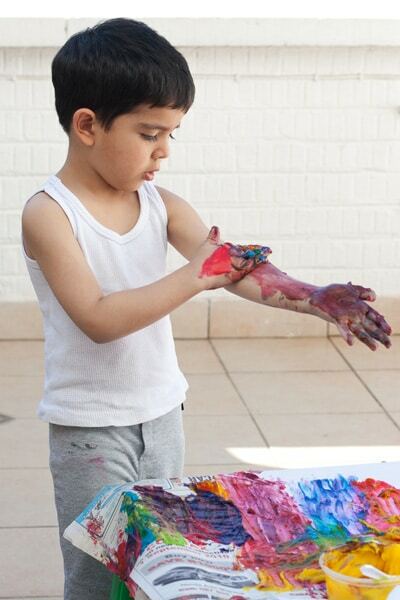 While we have found many reasons to finger paint. I was looking for a homemade finger paint that doesn’t stain kids fingers. 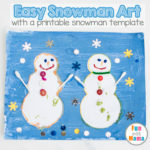 This wonderful finger painting recipe from the Itty Bitty Bookworm curriculum is AMAZING. It doesn’t stain fingers and has the perfect consistency for a child to play and explore. The colors were beautiful and vivid. 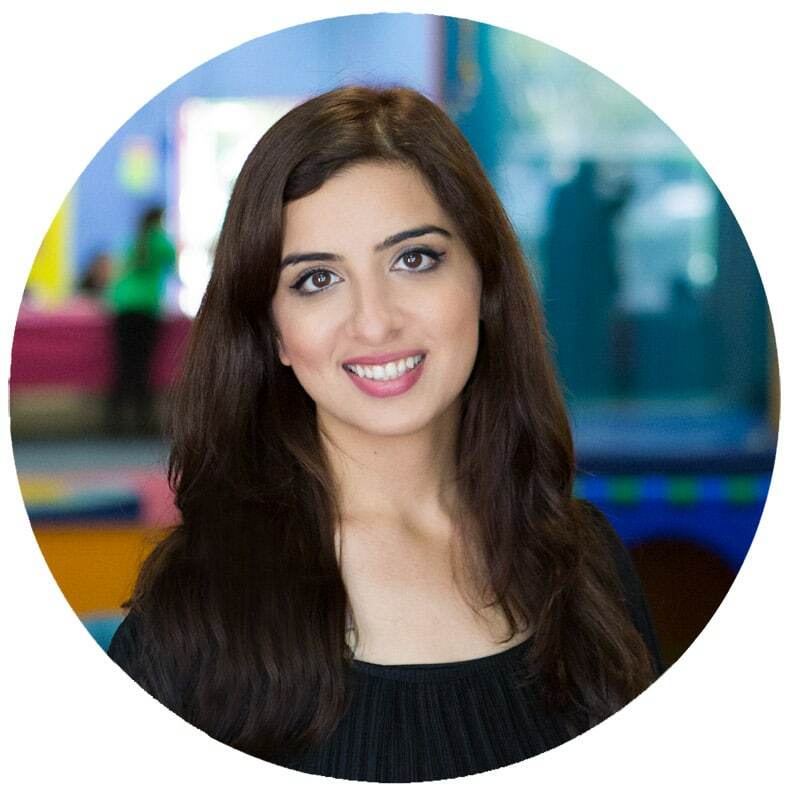 Please note that the resources on this post contain affiliate links. Please see my disclosure policy for more information. Method: Mix the flour and salt. Add the cold water. Beat until smooth. Gradually add the hot water and boil until clear. Beat until smooth. Divide the mixture and add the food coloring of your choice. Here is another recipe: I haven’t tried this recipe but it looks great. 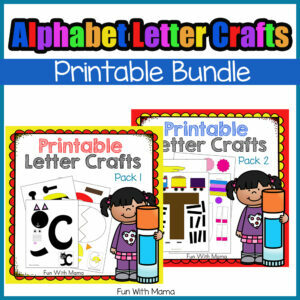 If you would prefer to purchase finger paint instead so that you have it on hand whenever your kids want to finger paint I recommend these Washable Finger Paints because they don’t stain and I am often painting on the spur of the moment. Don’t let the lack of pre-planning or having not ‘scheduled’ it in to make your child miss out on any opportunity to finger paint. Please note that none of those items are necessary besides the paint. 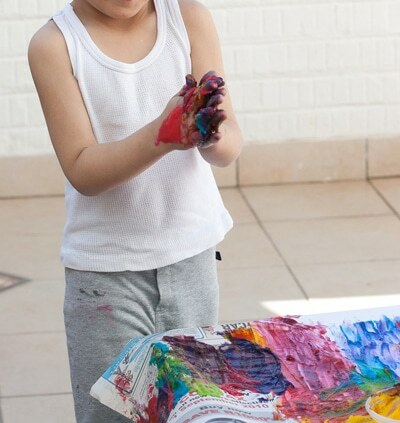 Your child will have just as much finger painting without those items as they will with them. It is an excellent tactile experience. It is emotionally soothing (in most cases). It strengthens the hand and fingers which helps with fine motor skills. 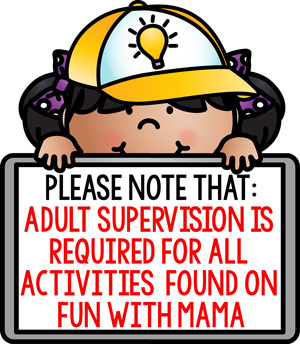 Most importantly, it is FUN! 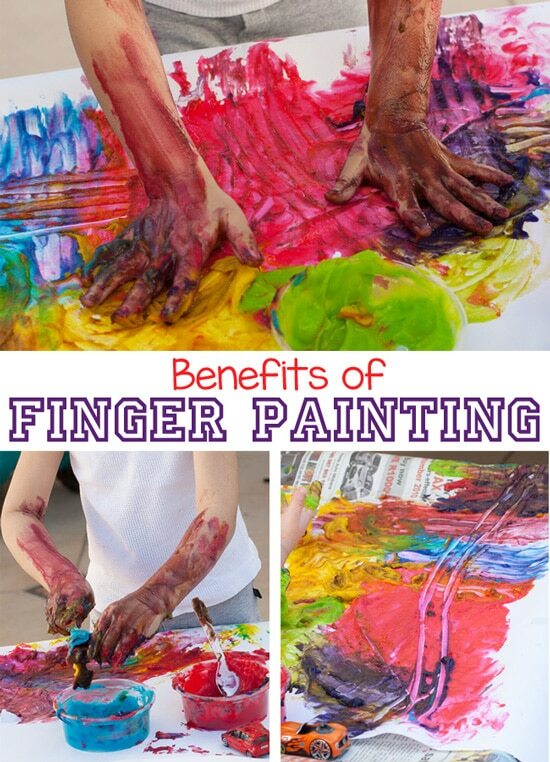 There are many more benefits to finger painting in early childhood for toddlers, preschoolers, babies and even adults! 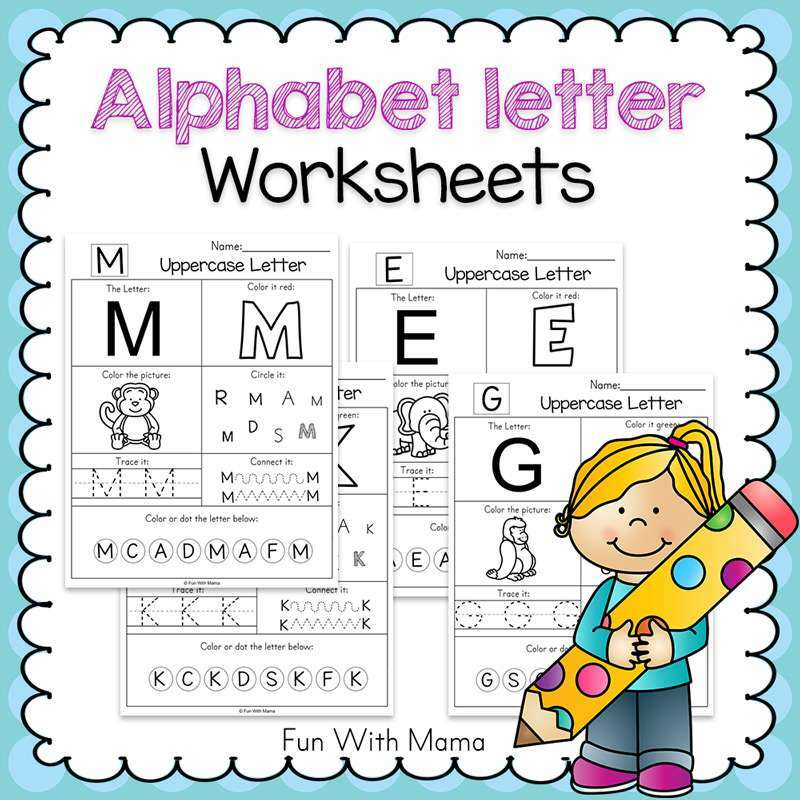 Look at the list above and try finger painting with your child. Did you feel emotionally soothed? Your senses would have definitely been stimulated! Create a road full of many colors. Feel it with your hands. Paint it on your body. Cover your cars with paint before you wheel them through your painted road. Try to see what all the fuss is about. Sing a bit, it helps make prettier pictures. You can add in some sponges the next time. I purchased these finger paint brushes and rollers. Or you can even use q tips, cars, feathers, toy dinosaurs, plastic forks and anything else that you have at home. Here on my instagram page you can see that we did finger painting with a fork… and here is a video of my finger painting toddler. Look with amazement at the beauty of the “mess” and pat yourself on the back on an activity done well. 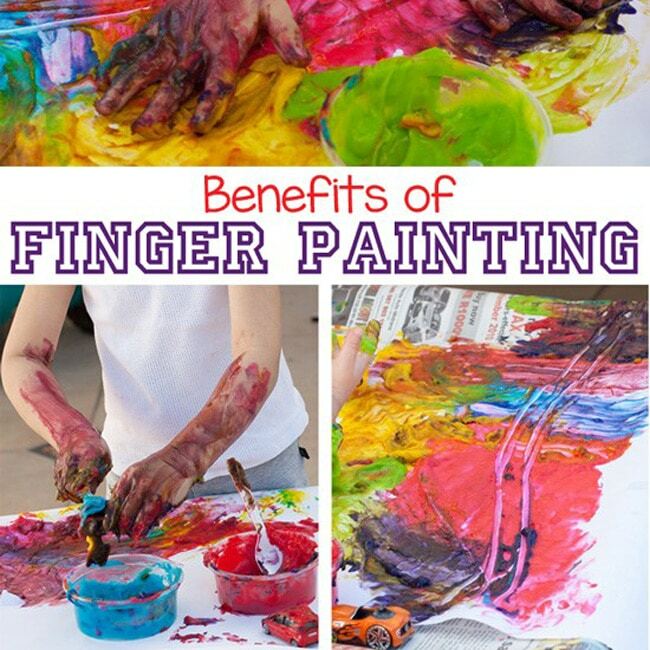 Besides the above benefits, we all know that kids finger painting hands are a wonderful site to look at. 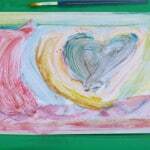 If you want to try something less messy try fingerprint art! 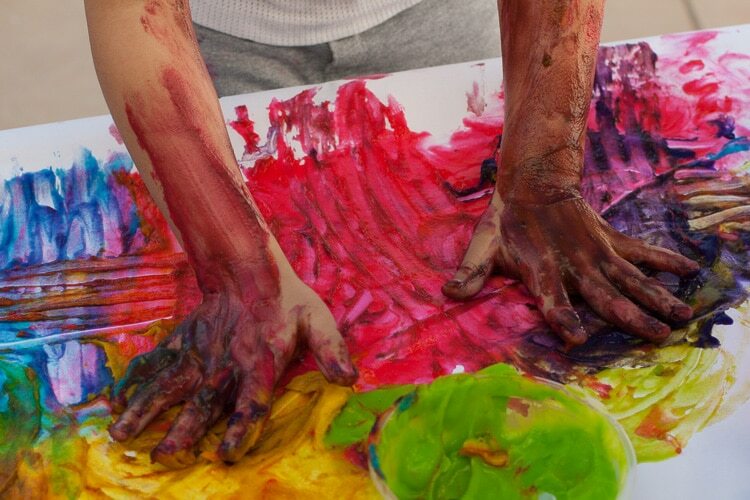 How does finger painting develop cognitive development? 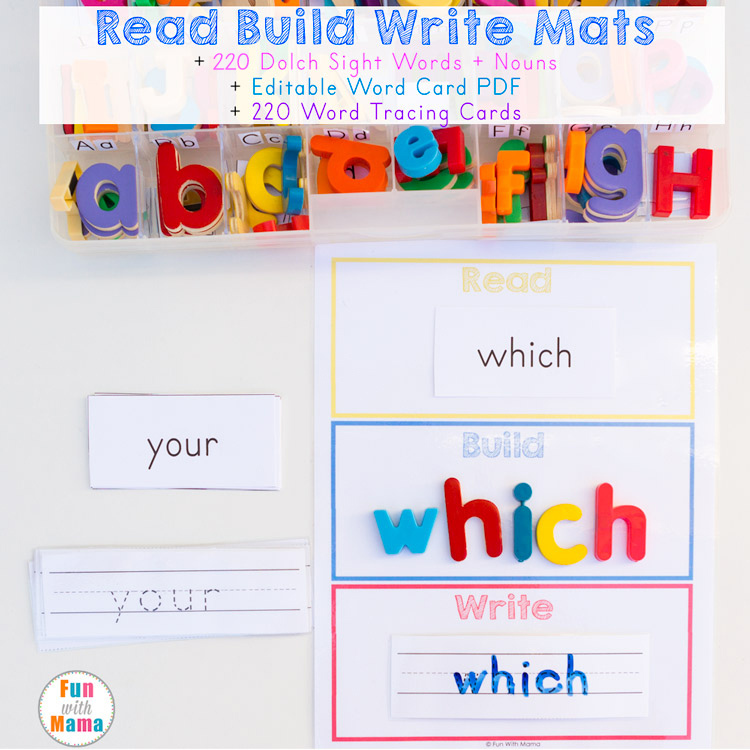 Children will learn more about each color and can begin to classify the names of each color. They will also learn about cause and effect. For example if you mix blue and red you get purple. 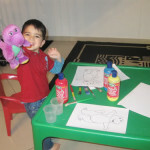 The above finger painting hand comes from my fancy monster finger paint kids activity. This activity was SO much fun and I definitely recommend that you check it out. 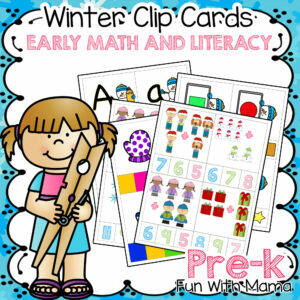 For more finger paint activities click here. 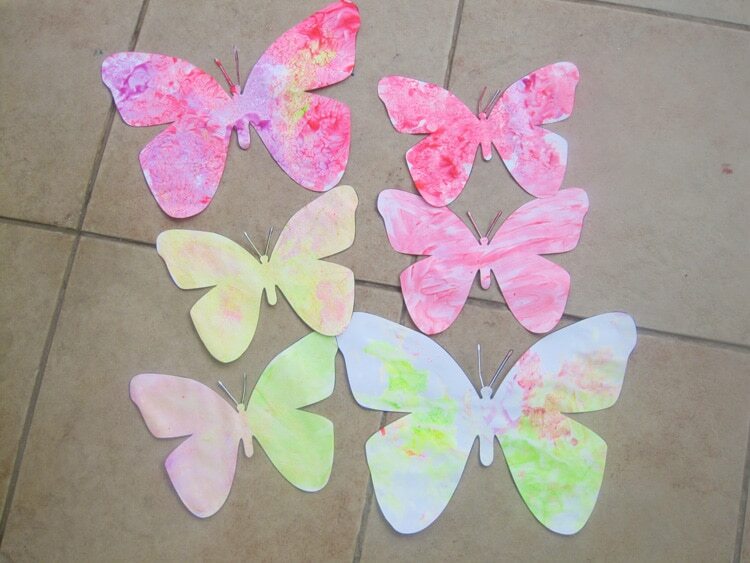 Don’t forget to try my printable butterfly finger paint activity. 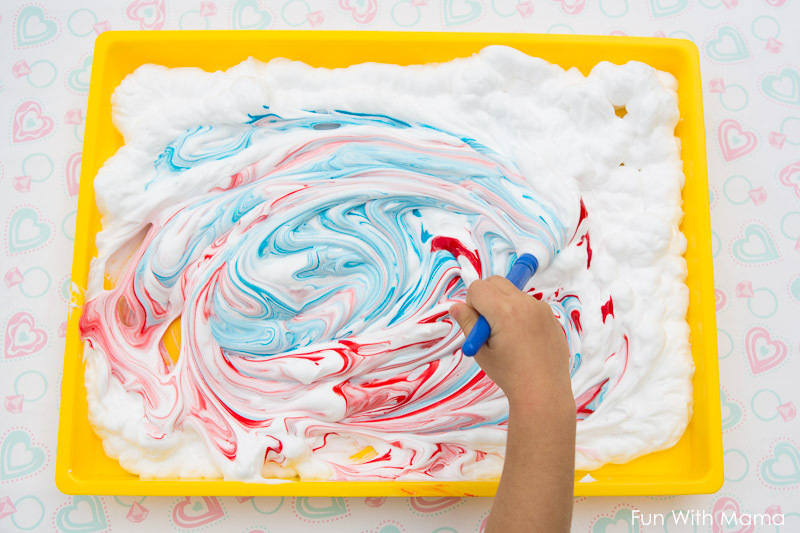 and even more full of fun texture… Shaving cream painting! 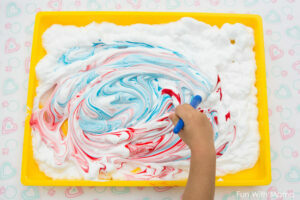 Here is an even better shaving cream painting activity! I am amazed that he didn’t seem to get any paint on that WHITE shirt! You are a brave woman!!!! Oo sorry, there are benefits listed. I was overwhelmed with the beautiful pictures. The colors are so beautiful and your children are very talented. I see that they really enjoyed this experiment. The recipe is easy to use, i must try it. Hi, can I put lids on the little tubs and store them for later? Do you know how long they last if sealed?